Here’s one last (?) 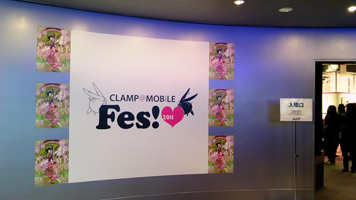 round up of reports from the CLAMP@MOBiLE Fes! 2011 event I was able to gather from several sources. – The XXXHOLiC OAD screening was cut after 30 minutes or so and the message “continues on the DVD out March 9” was shown. – “XXXHOLiC Rou” is over, for the time being. – Ohkawa asked the other CLAMP members how they felt regarding XXXHOLiC ending. Mokona said she’s “relieved” (as in, after running a huge marathon), Satsuki and Nekoi said they want to reread it because for the moment they are a little confused about it. – OAD Director Tsutomu Mizushima wanted to come to the event but was unable to. 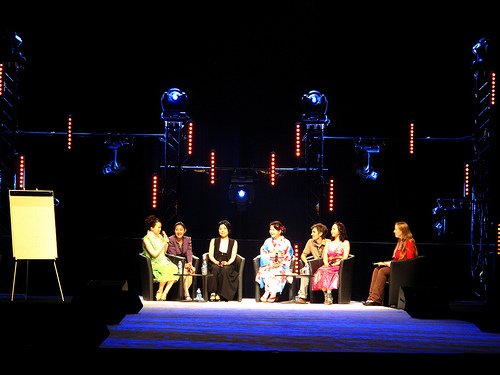 – CLAMP asked the audience who was the main character in XXXHOLiC: Yuuko or Watanuki. CLAMP thinks it’s Watanuki, Tsutomu Mizushima thinks it’s Yuuko. – They don’t think Doumeki is “ikemen“, same as they don’t think Watanuki is “bishounen“. – When the last chapter of “Rou” was finished, they celebrated drinking until morning even though they had to work on the following day. – They mentioned the episode in France where CLAMP were asked about the lack of kissing scenes in their works. The kiss between Hana and Chikahito was a response to that. – Hana’s gender was also discussed. The majority of the audience thinks she is a girl, but there were also those who thought her as genderless. CLAMP didn’t said anything, though. – For GATE 7 color illustrations, first they draw and paint the characters using analog instruments. Then they scan the picture and background and other effects (flowers) are added using CG. 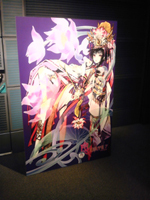 You can check this more clearly on the picture of GATE 7’s gallery in CLAMP-NET.COM’s report below. – CLAMP said that they want to do more events of this nature and art exhibitions in the future. CLAMP-NET.COM posted their report up here with a few (very small) pics. 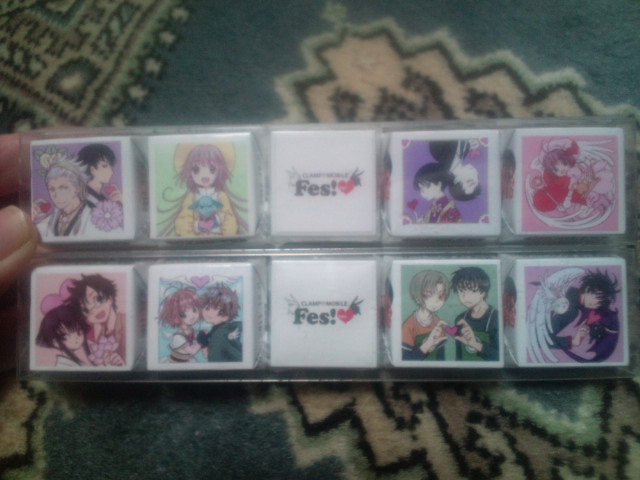 The two-day event CLAMP@MOBiLE Fes! 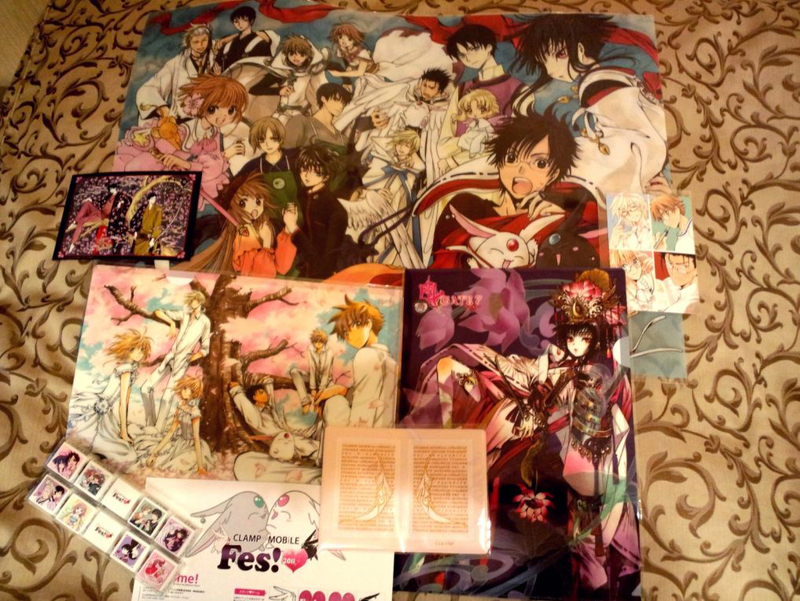 2011 took place in Ikebukuro (Tokyo) this weekend, on the second day, the XXXHOLiC Rou Adayume OAD had its first screening and a CLAMP Talk Show was held. There are several reports spread around the internet from the people who managed to go. Here is a summary of the highlights of both days (mild XXXHOLiC manga and OAD spoilers alert). – XXXHOLiC Rou Adayume OAD’s length is 20 minutes (Update: this source says 30 minutes or more). – Code Geass talk. CLAMP’s original concepts for Boukoku no Akito were shown. 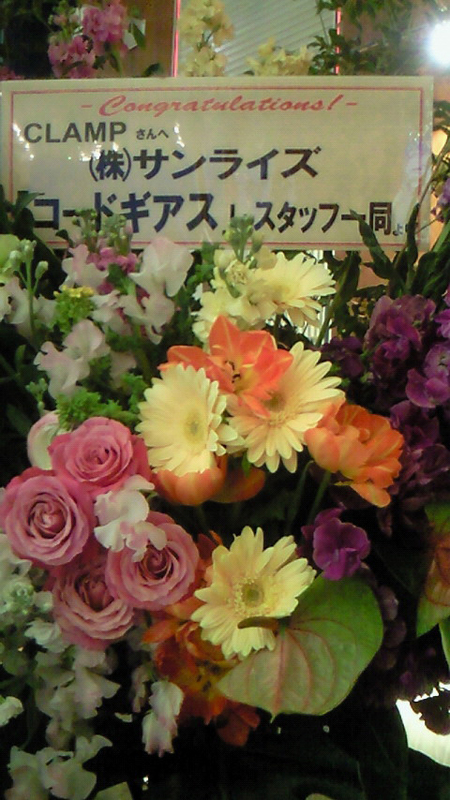 In the pictures above, you can see flowers sent by Sunrise (Code Geass animation studio) and Bandai Visual (the distributor of the majority of CLAMPs anime works). Nice to have the XXXHOLiC artbook finally announcement! 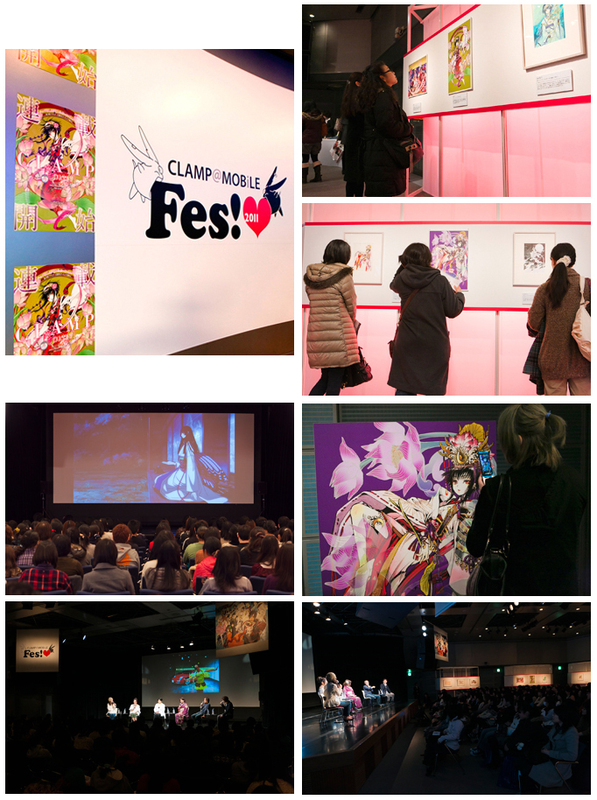 CLAMP-NET.COM just announced that an official report of CLAMP@MOBiLE Fes! 2011 will be posted on the website soon! 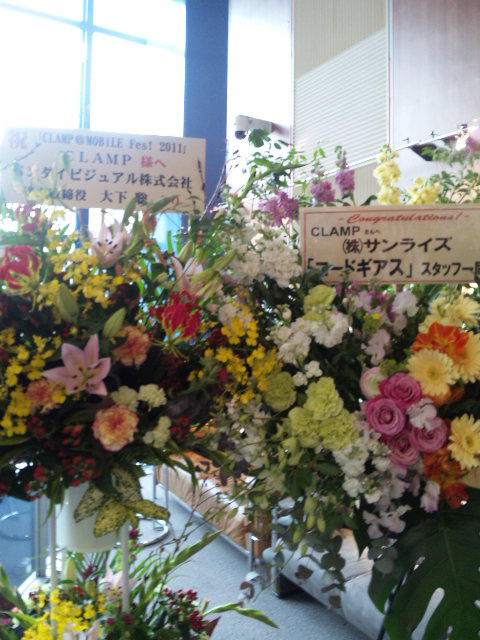 More details about the CLAMP@MOBiLE Fes! 2011 event has been given by Newtype‘s official website. As announced previously, the events will be closed to CLAMP@MOBiLE members and will take place at the aMLUX Tokyo in Ikebukuro. Other attractions will include a new promotional video featuring CLAMP’s anime works and a corner with life-size CLAMP character stands for taking photographs. On the following day of event, on February 6, 200 CLAMP@MOBiLE members will be picked by lottery to enjoy the premiere of the XXXHOLiC Rou Adayume OAD, followed by a CLAMP Talk Show. Original goods will be on sale during both days of event. And good news! A free-for-all CLAMP exhibition will take place at the Animate store in Ikebukuro! This exposition will run for 11 days, from February 3rd until the 13th. The exhibition will contain original CLAMP artwork (no work specifications) and original setting material of the XXXHOLiC Rou Adayume OAD. And finally, a CLAMP fair selling original goods will run on all Animate stores during the months of February and March. 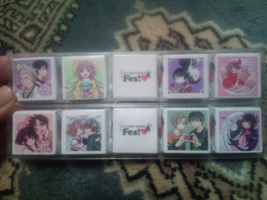 More information about the CLAMP@MOBiLE Fes! 2011 event has been revealed by Comic Natalie. The first event, to be held on February 5, will be an exhibition of CLAMP’s original colored artworks of Tsubasa, XXXHOLiC, Kobato. and the new work GATE7. Original goods will also be sold at the event. The entrance will be exclusive to members of CLAMP’s mobile service, CLAMP@MOBiLE (entrance is free of charge). The second event, also known as “Special Event”, to be held on February 6, will be an early screening of XXXHOLiC Rou Adayume, the upcoming OAD of XXXHOLiC. After that there will be a talk show with the 4 members of CLAMP. This “Special Event” will be closed to 200 members of CLAMP@MOBiLE who will be selected by lottery (applications are currently open and will be until Dec. 20). Both events will take place at the aMLUX Tokyo in Ikebukuro. I’m particularly happy that there is going to be a CLAMP talk show. It’s been a long time since the ladies appeared to fans. Here’s hoping that interesting things will be discussed in the talk show! A promise is a promise and I promised I would share the audio from CLAMP’s public conference at Japan Expo and here it is! It was recorded by eolo, who was sitting 2 seats beside me, and transferring the file from his iPhone to the computer proved to be harder than we thought (which is why it took us this long). But he made it nevertheless and here it is! Thank you very much, Marco! The file has 157 MB, the beginning has CLAMP IN WONDERLAND 2 (which was screened twice) and the ending has 3 minutes of absolutely no sound. I tried to edit the audio file and cut the beginning and ending but the output file ended up being even larger than the original file. Since I didn’t want to compromise its quality, I decided to share the original file, no editions. A week later (sorry about that! 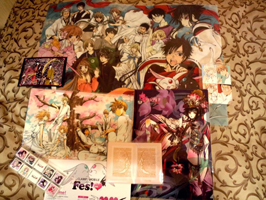 XD), here’s my report of the 3rd day of Japan Expo, 2nd and final day of CLAMP’s activities. Both the NEWS BOARD section of CLAMP-NET.COM and CLAMP in CARDLAND’s official website announced today the 2nd official event of CLAMP in CARDLAND. The event will take place in two days at different venues, one in Tokyo on November 23 and one in Osaka on December 21. – Submit a Booster Box barcode from either one of the 4 series released so far. 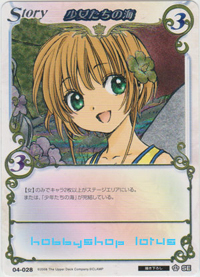 – Submit the Dramatic Deck’s barcodes from both Card Captor Sakura and X & Tokyo Babylon versions. Winners will be chosen by lottery. Cool thing! The first time the members of CLAMP appear in a CLAMP in CARDLAND event. As always, let’s hope there will be coverages and pictures about these talk shows. Welcome! This is a website centered on the activities of the creative group known as CLAMP. Here you will find news, coverages, downloads and other related information about CLAMP. UPDATED: New artbook "CLAMP Illustration Collection MEMORIES"